First, your company obtains a Purchase Order from a quality company that has agreed to accept your product or service. You then send this Purchase Order to SouthStar. 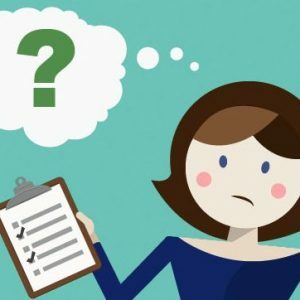 SouthStar will then perform due diligence and check the creditworthiness and financial strength of our customer and any 3rd party manufacturer. Once the Purchase Order is verified, SouthStar will advance money to the third party manufacturer to cover the cost of goods and labor it takes to make the products for the Purchase Order. This can be one manufacturer or a combination of manufacturers, and a company that assembles the final product. Once the product is completed SouthStar will handle the shipping, customs clearance (if necessary) and final arrival of the product at a third party storage facility or your customer’s dock. Once the product arrives at your client’s dock, you send an invoice to your customer and SouthStar. The process will then shift to an Accounts Receivable relationship. 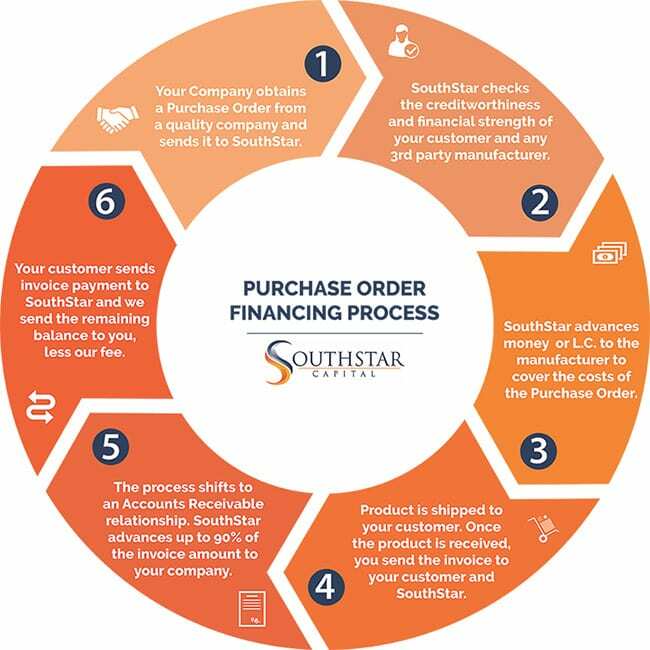 SouthStar will advance up to 90% of the Purchase Order invoice amount to your company. Your customer pays SouthStar the full amount of the invoice. Then SouthStar sends the remaining balance to you, less our fee. Call or email us today to learn more about the Purchase Order Financing process and the benefits it can provide your company. Learn how Purchase Order Financing works, what it is, and the advantage of working with SouthStar Capital.